A wearable electronics devices and future soft robots or smart T-shirts that power your cell phone may depend on the development of stretchable power sources. But traditional batteries are thick and rigid and not ideal properties for materials that would be used in tiny wearable devices. In a step toward wearable electronics, a team of researchers has produced a stretchy micro-supercapacitor using ribbons of graphene. Supercapacitors, developed in the 1950s, have a higher power density and longer life cycle than standard capacitors or batteries. 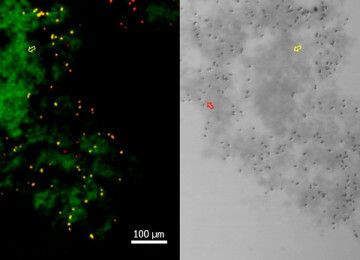 And as devices have shrunk, so too have supercapacitors, bringing into the fore a generation of two-dimensional micro-supercapacitors that are integrated into cell phones, computers and other devices. However, these supercapacitors have remained rigid, and are thus a poor fit for soft materials that need to have the ability to elongate. 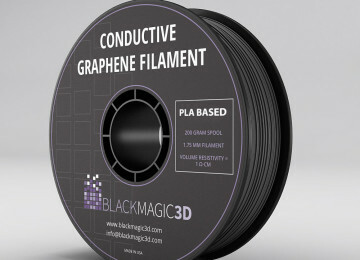 A team of researchers at Nanyang Technological University, Singapore, has produced a stretchy micro-supercapacitor using ribbons of graphene. 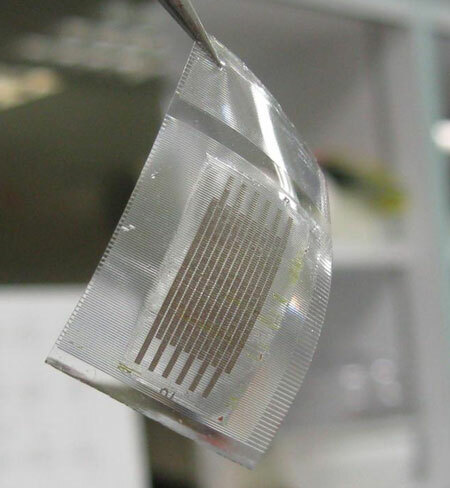 The team produces stretchable electrodes and integrated them into a supercapacitor, in what can be seen as a promising step towards bendy power sources for flexible electronics. 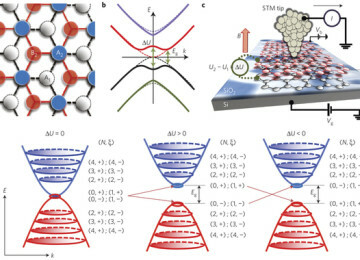 The research team focused on the fact that graphene can be flexible and foldable, but it cannot usually be stretched; They attempted to fix that problem by looking at skin, which has a wave-like microstructure, and started to think of how to make graphene also more like a wave. 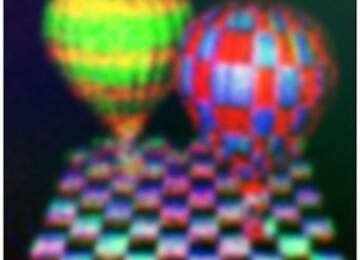 The next step was to create the stretchable polymer chip with a series of pyramidal ridges. The researchers placed the graphene ribbons across the ridges, creating the wave-like structure. They started by making graphene nano-ribbons, having more control over its structure and thickness that way (which can affect the conductivity of the electrodes and how much energy the supercapacitor overall can hold).Next they attempted to create the stretchable polymer chip with a series of pyramidal ridges. The researchers placed the graphene ribbons across the ridges, creating the wave-like structure. The design allowed the material to stretch without the graphene electrodes of the superconductor detaching, cracking or deforming. In addition, the team developed kirigami structures, which are variations of origami folds, to make the supercapacitors 500 percent more flexible without decaying their electrochemical performance. As a final test, the team powered an LCD from a calculator with the stretchy graphene-based micro-supercapacitor. Similarly, such stretchy supercapacitors can be used in pressure or chemical sensors. In future experiments, the researchers hope to increase the electrode’s surface area so it can hold even more energy. 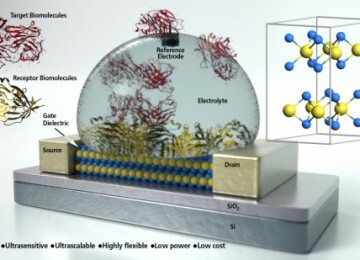 The current version only stores enough energy to power LCD devices for a minute, according to the researchers. Similarly, such stretchy supercapacitors can be used in pressure or chemical sensors. In future experiments, the researchers hope to increase the electrode’s surface area so it can hold even more energy. The researchers will present their work today at the 252nd National Meeting & Exposition of the American Chemical Society (ACS). ACS, the world’s largest scientific society, is holding the meeting here through Thursday. It features more than 9,000 presentations on a wide range of science topics.